Furious 7 (also known as Fast & Furious 7 and Furious Seven) is a 2015 American action film. 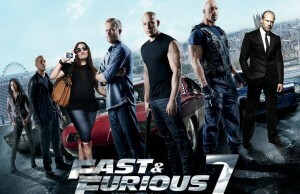 It is the sequel to the 2013 film Fast & Furious 6 and the seventh installment in the Fast & Furious film series. The film was written by Chris Morgan and directed by James Wan. It stars Vin Diesel, Paul Walker, Dwayne Johnson, Michelle Rodriguez, Jordana Brewster, Tyrese Gibson,Ludacris, Lucas Black and Jason Statham. With the previous three installments being set between 2 Fast 2 Furious (2003) and The Fast and the Furious: Tokyo Drift (2006), Furious 7 is the first film of the series to take place after Tokyo Drift. The film marks the final appearance of Paul Walker, who died on November 30, 2013 with filming only half-completed. After Walker’s death, filming was delayed for script re-writes, and his brothers Caleb and Cody Walker were used as stand-ins to complete his remaining scenes. 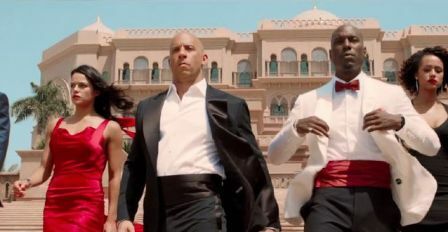 Furious 7 is set for release on April 2, 2015 at Life Cinema Martintar in Nadi.